There's a reason we're the best in the business. IN FACT, THERE ARE SEVERAL OF THEM. We Start with a Solid Foundation. And we build from there. You're building a project that has your name on it. We understand. It has our name on it, too. We know construction and we know it well. 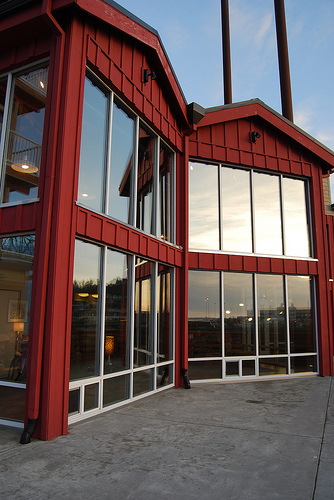 From large-scale Commercial to detail-specific Residential, we specialize in all things structural. And we do it with attention to detail, time, and budget. PAC NW Structures is a fully licensed, bonded, and insured general contracting company. We cover everything from new construction to remodeling, framing, custom built homes and tenant improvements. With a strong history of Cost Management, we're a leading choice for a variety of properties from Hospitality and Multi-Family, to Retail and Government. We thrive on attention to detail. Excellence in every aspect of every project. Collaborative Meetings. Open Communication. Time-Sensitive Progress. We've Built Our Business on One Solid Principle - Lasting Relationships. Our goal in every project is to build structures that enhance the quality of life. And that goes beyond the building. We strive for, and achieve, honesty, integrity, quality, and success in every project we undertake. After all, building lasting relationships starts with the quality of your work, the goodness of your word and an understanding of the bigger picture. Quality Of Workmanship. Innovative Solutions. Safety Conscious. It starts on day one, partnering with you. Our mission is to provide the highest quality workmanship possible from pre-construction meetings and jobsite construction, to final inspections and owner's satisfaction. We succeed because of our safety minded crews and well organized staff, our commitment to a solid work ethic, and our passion for staying current with the newest innovations of our industry. We're ready to build with you. We're the perfect choice for any project. We nail it. Every time. Find out why we're the best choice for your building project. OR ccb# 179923 | WA # PACNWNS897LB | Graphic Design and Web Design by Brand G Creative, LLC.